So, here I sit at the Beijing airport. It’s 10:26 a.m. and our flight to Changchun is in a little over an hour. An hour before I land in my new son’s hometown. One flight until I see the city where he was born. The city where he has lived over the last 3 ½ years. 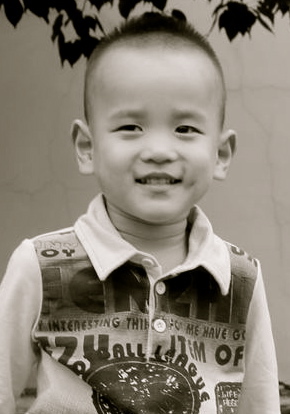 It is hard for me to fathom that in just 48 hours I will become a mom to 4 children – 2 biological and 2 born in China. If you had told my teenage self that I would one day be the mom of 4, I would have laughed hysterically. I remember many times telling my stepsister how I never wanted a child. That person would never have dreamed that she would grow up to mother not only one child – but 4. Right now, I’m reflecting on how life for us is about to change. Not just buckling in another person each time we get in the car, but meeting the needs of this person – spiritually, emotionally and physically…forever. And, not just how our lives will change, but how his life will change as well. New faces to learn, a new language he must embrace. A new culture and new people – sights, foods and sounds. He goes from having no family to being one in a family of six. It is hard to fathom all of the change that he will experience in such a short amount of time. Undeserving is the word that keeps coming to mind. I feel undeserving of the blessing of Silas. I feel undeserving to mother all of my children. I enjoy their big beautiful smiles and they are the most forgiving, sweet kids. On this trip, we brought our daughter, Sydney – age 8 (almost 9), with us. Our two youngest – Ben age 4 (almost 5) and Eliza age 3 are back at home. For days leading up to the trip, Ben would come sit in my lap and I would begin to cry and he would say, “Mommy, are you crying again because you will miss me so much?” “Yep,” I would say. It is brutal leaving your babies at home while you travel to the other side of the world, but I am so overwhelmed with gratitude to Mamie and Papa who have given of their love and time to take care of my precious babies. I can never thank them enough for loving them for us. We couldn’t do this without them. Our gratitude just overflows. I loved Beijing. The Great Wall never ceases to amaze me. The beauty of it. The vastness of it. The way it seems to go on forever. The honking of horns, the bright lights of the big city never disappoint. The faces of these beautiful people will be with me always. I feel I owe them something for allowing me to love, raise and enjoy two of their own. What amazing children they have allowed me to parent. Forever, I’m indebted to this country. The rich heritage, the beauty, the expansive culture that spans thousands and thousands of years is more amazing to me with each trip I make. I hope I make these people proud. I want to raise these kids to love who they are and the people from which they come. I want them to understand how proud they should be to be Chinese. The Chinese are kind people. They are strong and they work very very hard. They love their children greatly and strive for them to have a much better life than what they had. Isn’t that what we all want? They aren’t really all that different after all. They want what is the very best for their kids and so do we. Beijing was a delight again, but all I could think about was quickly getting to my boy. Getting to the heart of the reason why I am back here. And now, I am close…so so close to being where he is. I can smell the same air and look at the same sky. This time the moon will be where we both can see it at the same time, and that’s a great feeling. Throughout both adoptions, I often looked at the moon and thought about how that moon shown on us both. For some reason, the moon is comforting when your child is over 6,000 miles away and there is nothing you can do to speed up paperwork or time. The delight of Beijing has been meeting the other families who have been on this same journey that we have been on. The excitement on their faces – I feel that same excitement. The difficult journey – we all get it. And now, we are all standing in Beijing at the same time waiting for the same thing. 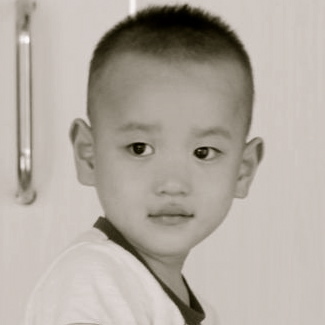 You know them only a day, but feel like you will be friends forever after such a unique journey of finding your children in China. Two women I met yesterday are about to become mothers for the very first time. I had so much I wanted to tell them. I wanted to share how much their lives are about to change – for the better. How much fun it is to live with a higher purpose – with such a calling as to be a mother. It is such a blessing and a gift to love and be loved. I just wish I could be a fly on the wall the day they get their first babies. The joy that just explodes…ahhhh I will see them again soon enough, but for now I am just praying those babies will know how much they are loved by their new mamas. It just makes me so happy. So, how do I feel now…48 hours out? I feel so excited I could explode. I feel so nervous I could cry. I feel so happy I could scream. I feel all the feels today. I’m just ready to hold him. I’m ready to tell him that he is so loved. I am ready for whatever 48 hours brings. Whether it is a lot of tears or joy – I will be ready to just be what he needs me to be. I am packing all the patience and love and kindness I can possibly muster for what lies ahead on this journey.